Touch the cross-hair symbol on the upper right side of the screen and drag it around. Once you release your finger, you can use the arrows to move. Touching the cross-hair without dragging toggles only the visibility of the movement panel. Do I need the compendium? Absolutely NOT. The compendium is for people, who want to take a look behind the game mechanics. You can discover everything that is written in the compendium by yourself by just playing the game. Nonetheless, I appreciate it if you buy the compendium. 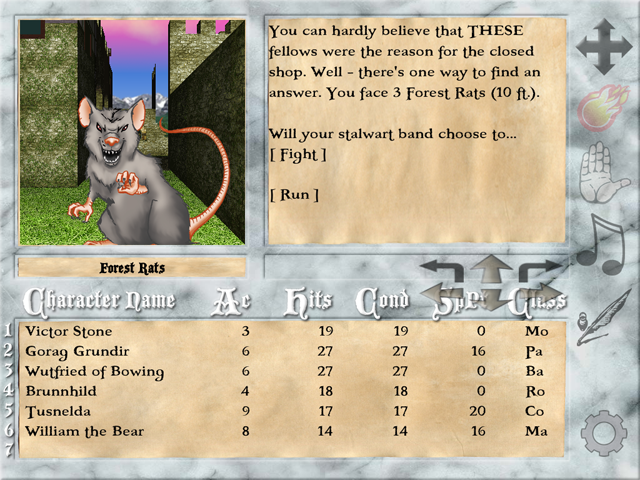 It contains creature and item lists and gives detailed information on every character class. I want to play with my bluetooth keyboard! Although we made it a universal app, the emphasis lies on the iPad. It may be a bit tricky to control the user interface at first, but you will quickly get used to it – promised! Come on, why should I give you feedback on the game? I don’t plan on stopping development on Silversword. And you always wanted a game that suits your playing style and expectations, right? Stay in touch with me!